Depending on the level of experience you have operating your chosen category of plant machinery we have two courses you can attend. Please remember help and advice is available on 0800 130 3225 for more detailed information. CPCS Red CardThe CPCS Red Card Novice course is for you if you have none or limited experience of operating the category of plant you would like a Red CPCS course for. In order that we can understand the level of your experience to ensure you are attending the right course ensuring and getting maximum value for money, please call us on 0800 130 3225. CPCS Novice courses last between three and five days depending on the category of plant you are being trained on. While some time is spent in the classroom the emphasis of the course is very much about getting you on a machine with an experienced tutor allowing you to get adequate hours operating the machine to build up your operating experience. Describe the nature of the sector of industry and their role and responsibilities as a plant operator. Name and explain the purpose of principal components, the basic construction, controls and terminology. Confirm with Manufacturer’s requirements as per the operators' handbook, other types of information source and the relevant regulations and legislation. Travel over rough, undulating ground, steep inclines, and level surfaces – loaded and unloaded. Manoeuvre in confined spaces whilst carrying loads. Ensure the suitability of the tipping and loading area. Explain actions required for hazards, underground and overhead services. Ensure Loading integrity and security. Transfer loads to different locations. Discharge loads into trenches and over edges. Maintain safe and tidy working areas. Carry out shut down and securing procedures. Explain loading and unloading procedures for machine transporting. Category-specific plant preparation, operation and shut down procedures. By attending our course you can be sure that you will be ready to face these questions and reach and surpass the 80% pass rate that is required to pass the CPCS theory test. Our trainers will ensure that you are fully briefed on all the questions you will face; candidates that attend enjoy pass rates of over 95%. Prior to attending the course, we will send you a copy of the CPCS theory test questions in order that you can fully prepare yourself for the test. To be eligible to attend the CPCS Novice Red card course candidates must have passed the CSCS health safety & environmental test at operative level, within the last two years. If you are not sure when you last passed the CSCS H&S test call us on 0800 130 3225 and we will be able to tell you, or if you want to book a Health & Safety test again you can call us for advice. The cost of the CSCS H&S Test is £19.50 and tests can be taken at your local driving test theory centre. On successfully passing the CPCS Novice course you will qualify for a Red CPCS Trained Operator Card which is valid for two years. 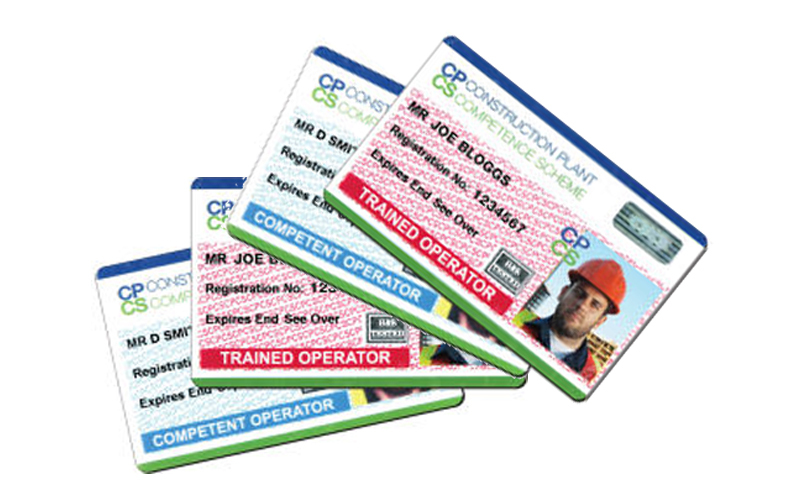 During this two year period, you will need to pass a level 2 NVQ in Plant Operations (in the appropriate category of plant machinery), and you will then be able to upgrade your Red CPCS card to a Blue Competent Operator card. For more information how much a CPCS novice course costs or dates of upcoming courses just call us on 0800 130 3225.